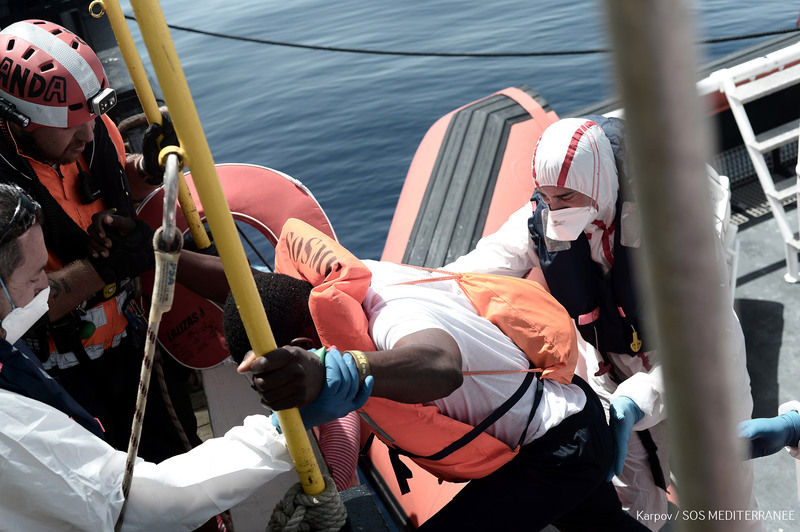 Médecins Sans Frontières/Doctors Without Borders (MSF) is urging European Member States to facilitate the immediate disembarkation of 629 people rescued over the weekend (9 June 2018) in Mediterranean and now onboard Aquarius, a dedicated search and rescue vessel run by SOS MEDITERRANEE in partnership with MSF. Aquarius remains in international waters off Malta and Italy, the countries with the closest ports of safety but which continue to refuse permission to dock. 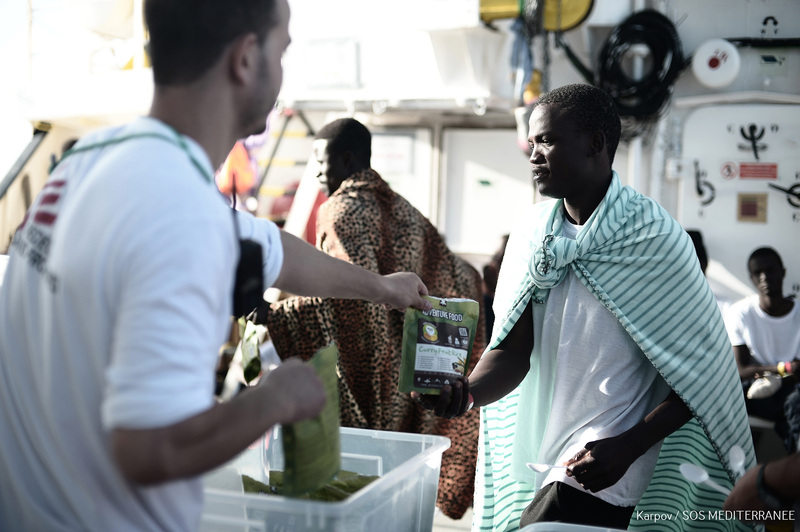 MSF welcomes the important gesture of humanity from Spain to disembark in Valencia. 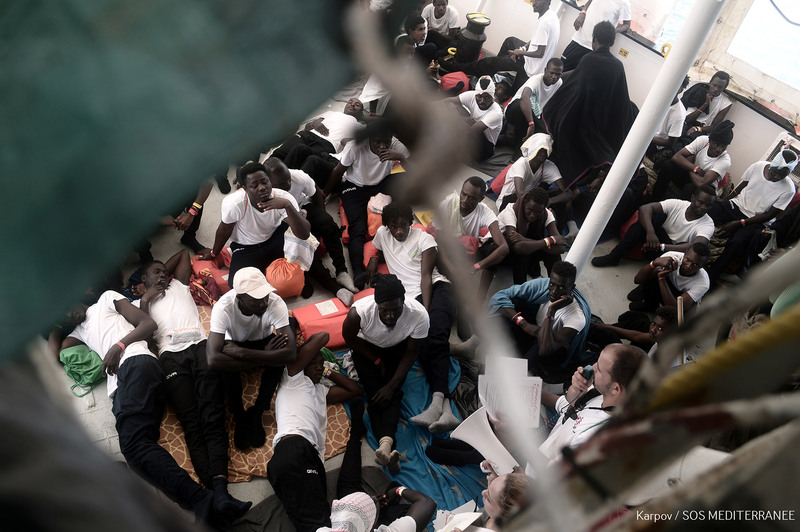 However, this would mean already exhausted people rescued at sea would have to endure four more days exposed to the elements on the deck, in an overcrowded boat already well over maximum capacity and in deteriorating weather conditions. The better option would be to disembark the rescued people in the nearest port after which they can be transferred to Spain or other safe countries for further care and legal processing. MSF is particularly concerned about several critical drowning and hypothermia patients who were resuscitated. These patients are being closely monitored onboard as they could quickly develop significant pulmonary issues after aspirating sea water. Many rescued people have reported aspiration and so are at risk for developing pulmonary disease or pneumonia over the coming days. There are 21 patients who have suffered severe chemical burns after being exposed to a toxic mixture of sea water and fuel for an extended period of time. These patients are stable but will need ongoing wound care and dressing changes over the coming days and weeks. 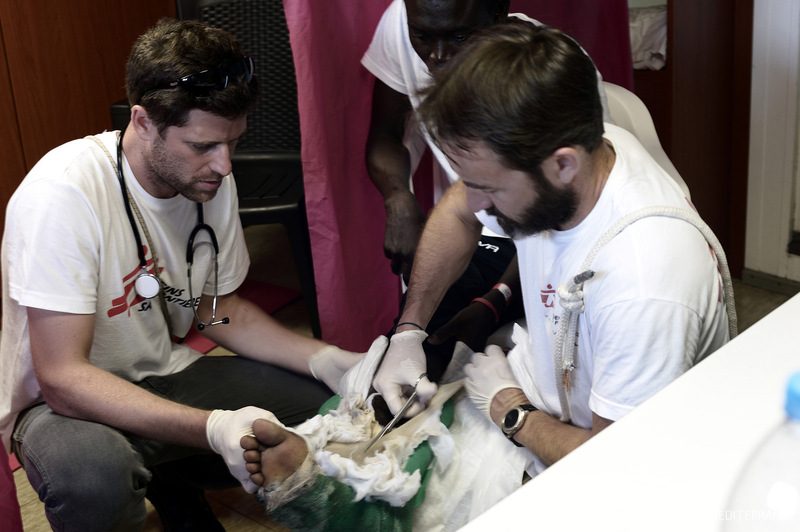 Finally, there are several serious orthopedics cases with associated infections that need immediate surgical evaluation and operations which MSF is unable to provide on the ship. Once people rescued at sea have been disembarked in a port of safety, the next priority is for EU governments and institutions to step up and find shared solutions to support countries on the frontline such as Italy who are dealing with the burden of arrivals of refugees, asylum-seekers and migrants by sea. 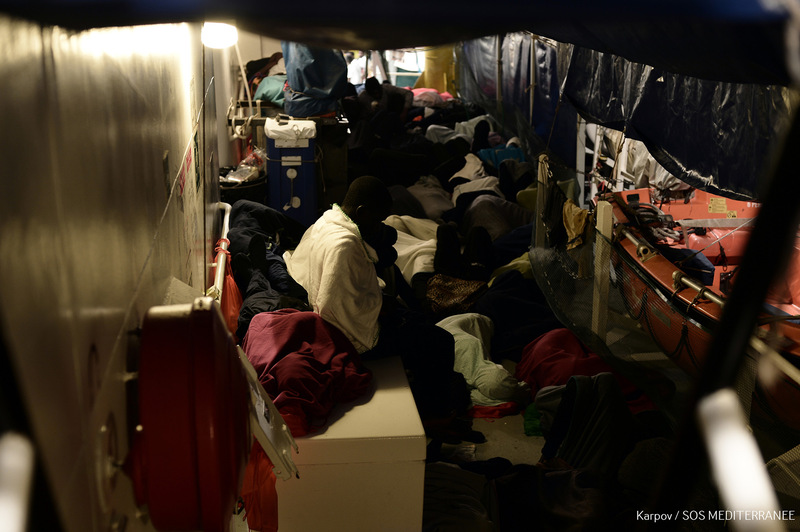 The 629 people currently onboard Aquarius were rescued during night of Saturday to Sunday (9-10 June 2018) , when Aquarius carried out six rescue and transfer operations in the span of nine hours – all under instruction from the Italian Maritime Rescue Coordination (IMRCC). The rescue of 2 rubber boats turned critical when one boat broke apart in the darkness, leaving over 40 people in the water. 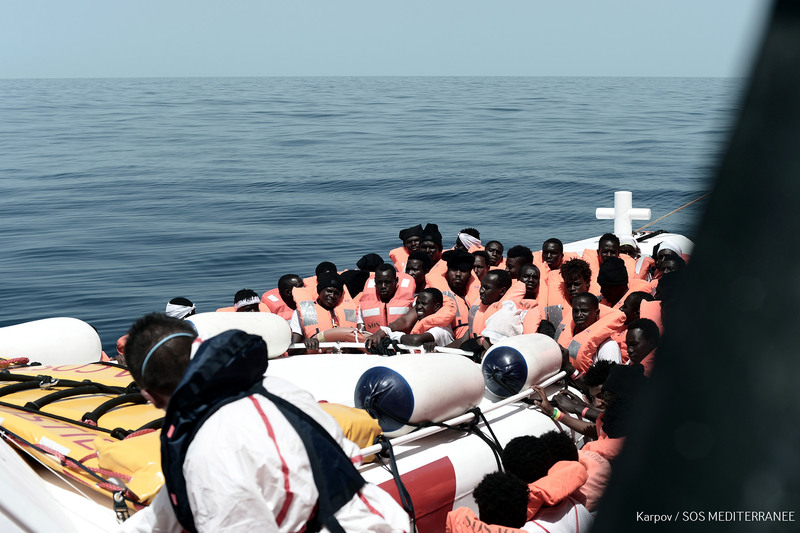 After rescuing 229 people from these boats, the Aquarius was requested by the IMRCC to accept a transfer of people who were rescued by Italian navy and coast guard ships on 9 June. The Aquarius received a transfer of 129 people from Italian Coastguard ship (CP 312), followed by 64 others from a second Italian Coastguard ship (CP 319) and finally 88 survivors from a third Italian Coastguard ship (CP 267). The ship San Giusto then assisted teams of the Aquarius for a final transfer: 119 shipwrecked were transferred from Italian merchant ship MV Jolly Vanadio to the Aquarius. The Italian MRCC coordinated all these actions from the start and took responsibility for the rescue of all these people. However, despite transferring rescued people from Italian Navy and Coast guard ships to the Aquarius, the Italian MRCC refused now to take any responsibility to bring the rescued people to a port of safety.